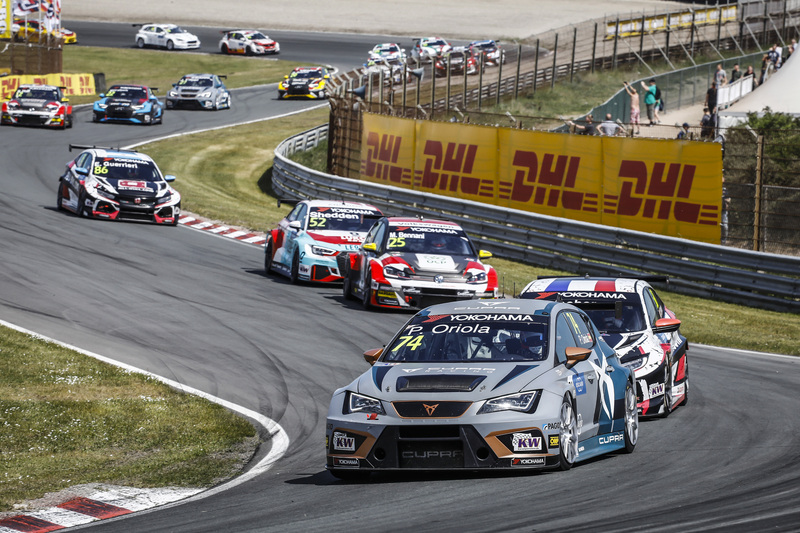 The WTCR – FIA World Touring Car Cup presented by OSCARO season finale in Macau is already taking shape with confirmation of several arrangements at a press conference held at the Macao Science Center earlier today. 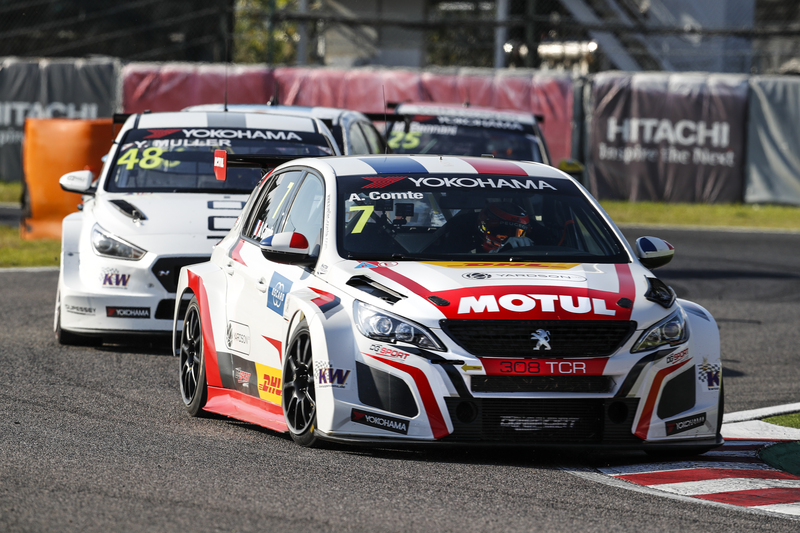 Suncity Group has been announced as the Event Title Sponsor of the Macau Grand Prix, which turns 65 from 15-18 November and features WTCR OSCARO, the FIA F3 World Cup, the FIA GT World Cup and the Macau Motorcycle Grand Prix on its packed timetable. Tickets have also gone on sale with prizes frozen from 2017 and more information can be found by clicking here. The press conference was attended by: Mr Pun Weng Kun, President of Sports Bureau of the Macao SAR and Macau Grand Prix Organising Committee Coordinator; Ms Gina Lei, Senior Vice President of Public and Social Relations of Suncity Group; Mr Lo Keng Chio, Chairman of the Automobile General Association of Macao-China; Mr Chong Coc Veng, President of Automobile General Association of Macao-China and Coordinator of Sporting Subcommittee of MGPOC; Mr Allen Lau Cho Un and Ms Christine Lam Lin Kio, Vice Presidents of Sports Bureau of the Macao SAR Government and Deputy Coordinators of MGPOC. 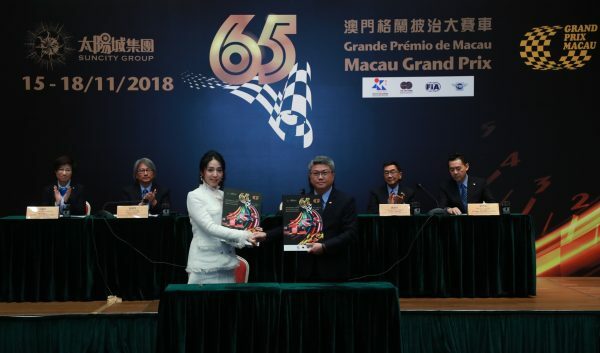 During the press conference, Mr Pun and Ms Lei marked the signing of the sponsorship agreement with the presentation of a giant cheque, as Suncity Group supports the Macau Grand Prix for the fifth consecutive year. Meanwhile, safety, medical, rescue and official vehicles will be provided by BMW Concessionaires (Macau) Ltd. The MGPOC is planning a series of events to celebrate the Macau Grand Prix turning 65. 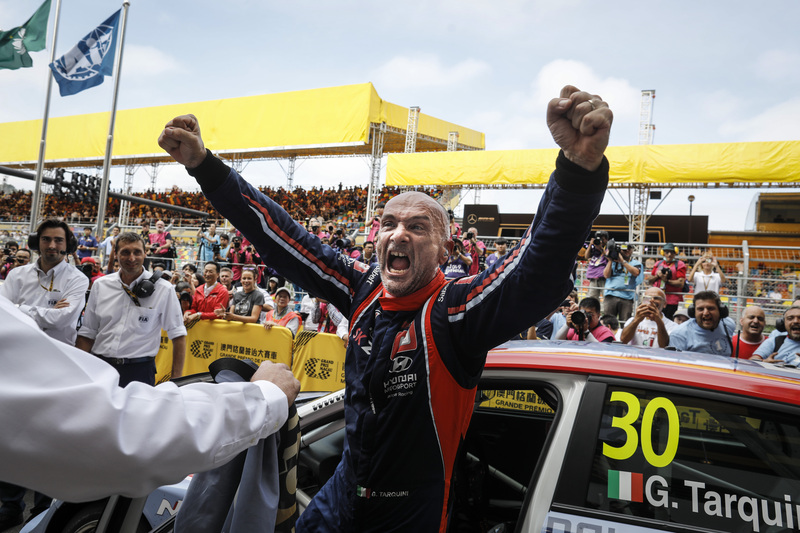 Meanwhile, the Macau Touring Car Cup and Greater Bay Area Cup will also be included on the Macau Grand Prix timetable.